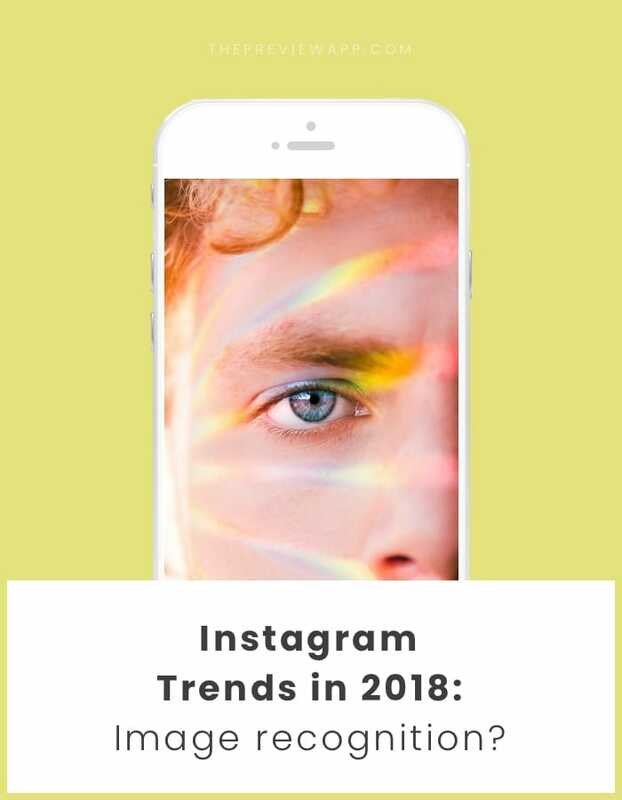 What are the Instagram trends to know for 2018? How can you keep growing your account? All these trends apply to you whether you have a business, you’re a blogger or you simply want to grow your Instagram in 2018. I’ll give you tips about each trend along the way. Keep scrolling, or click on any of the link above to go directly to a section. This needs to be Trend #1 because it can make or break your Instagram account. 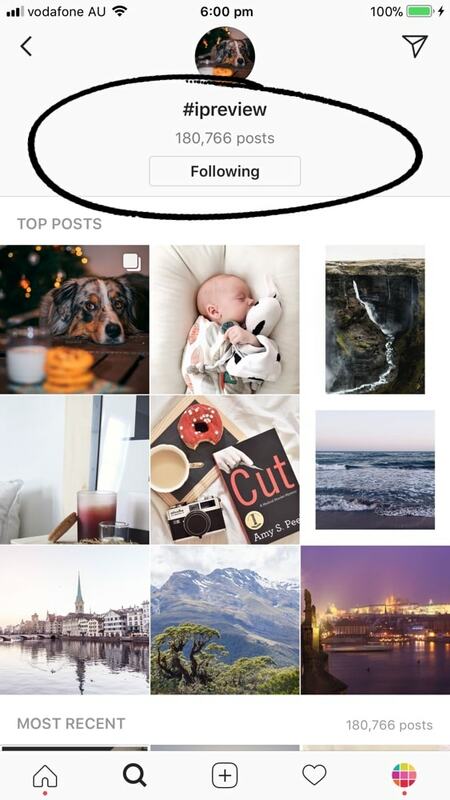 Instagram is very different from all the other social media platforms: it does not allow anyone to use apps or websites that automatically post, like, follow or comment for you. It’s against their Policy and can get your account banned, blocked or penalised (less likes, comments, engagement or exposure). More and more people know about this. Especially since we saw that Instagram shut down a few automated tools last year. And also because a lot of people have been affected by the “Instagram shadowban”. Quick tip: Avoid using apps or websites that do automated things for you (like automatic schedule, automatic likes or comments). Instagram doesn’t like that. The algorithm is getting better and better at recognising accounts that use automated tools. One more thing: Not all Instagram tools are dangerous. Some are approved by Instagram. 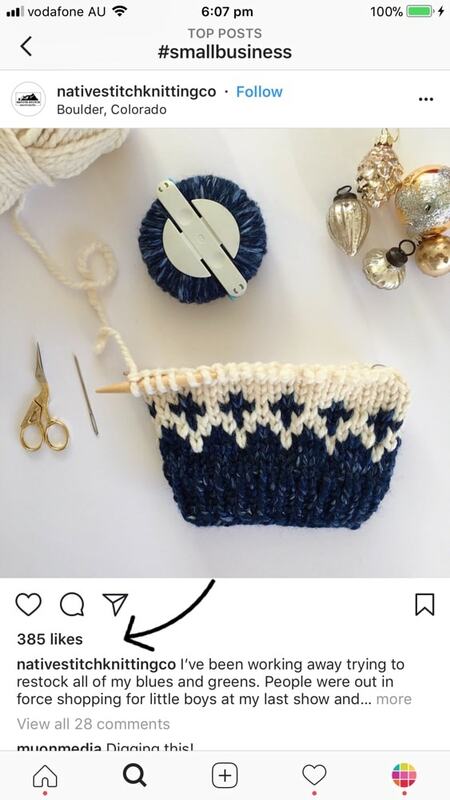 Learn how to tell if a tool is approved by Instagram or not (read Part 2). Note: Yes, Preview app is approved by Instagram. 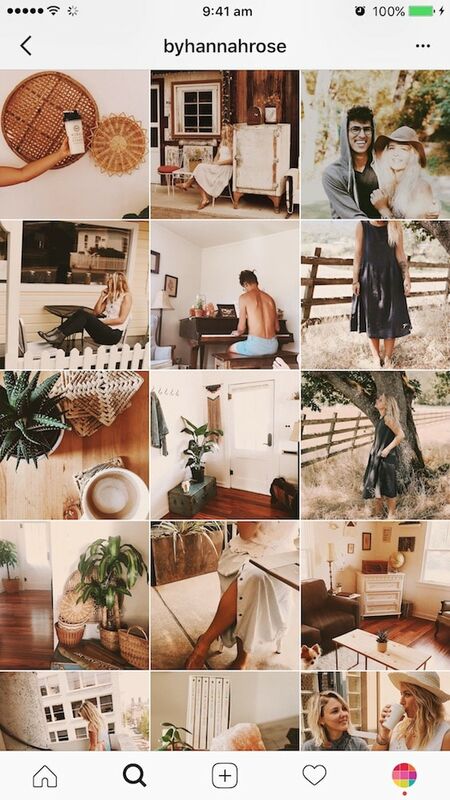 This one is a massive Instagram trend among bloggers: sharp photos. Photos of famous bloggers are very crisp. 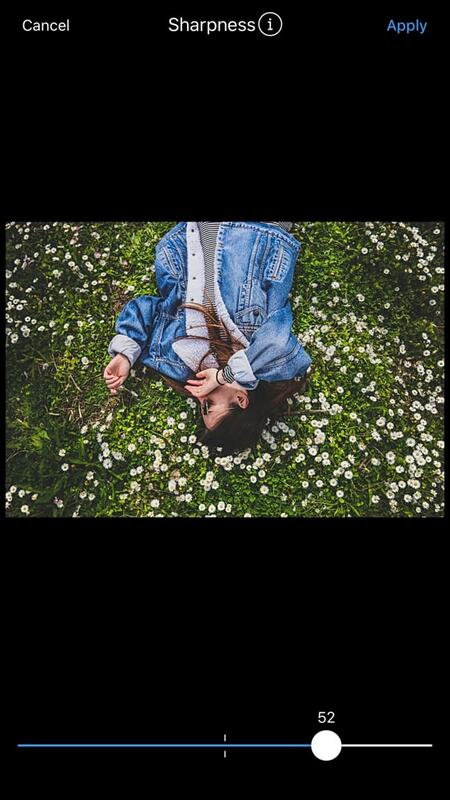 Check out @tezzamb for example. They increase sharpness (quite) a lot. It’s the new style! It gives a photo an edge if you increase it a lot. It also makes your photos look “higher” quality. This might not be a new trend for some of you, but it has become a “must”, especially if you want to grow your account. We all want to make a good first impression when people visit our profile. If people like what they see, they will hit that “follow” button. It’s really that simple. General theme: Share awesome content to people, without caring about the look of the feed. Example: Buzzfeed. People connect and love the content. Aesthetic theme: Care about the look of your feed and make it all flow. People connect and love the style and creativity. Both are great Instagram feed ideas. As long as you are captivating the attention of people (and YOU are having fun) – you’re winning. 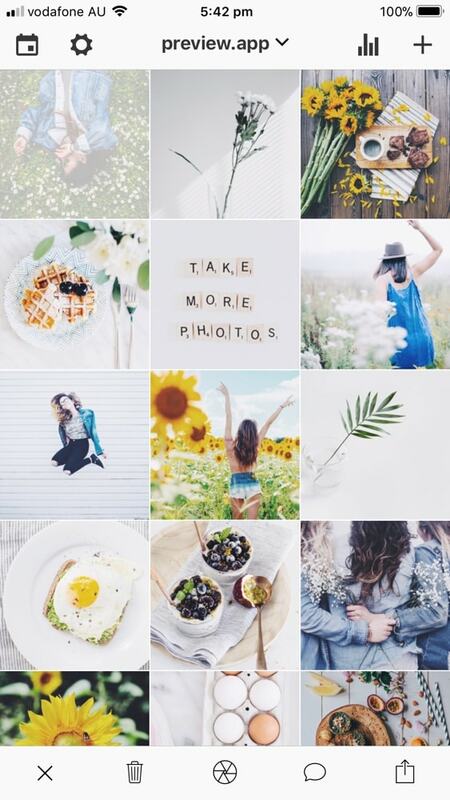 Many people now take their time to create an aesthetic theme because it makes their feed stand out. It gives your page personality. 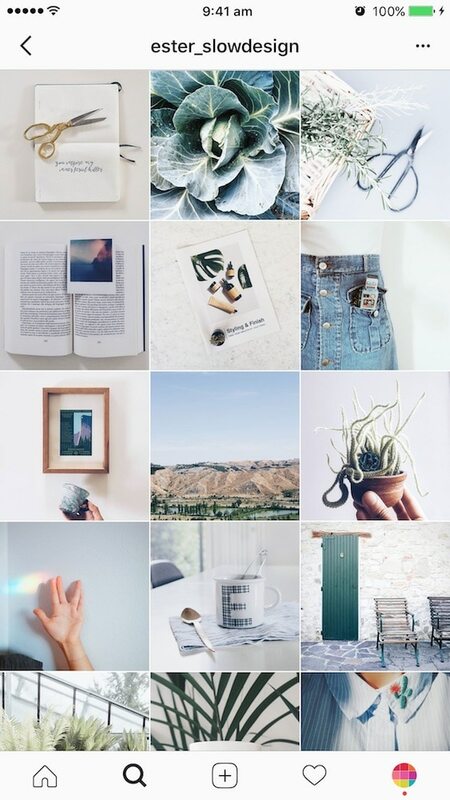 It’s super easy to make a cohesive Instagram theme (just follow these steps). Preview is useful for that because you can rearrange the order of your posts to design your feed. It also has a bunch of presets to help you stick to a specific theme. 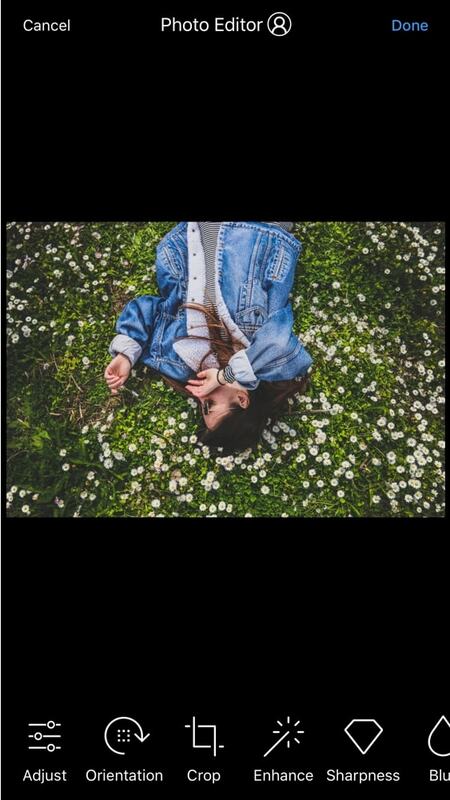 Cinemagraphs are getting super popular on Instagram. I like to call them “moving photos”. Our friends Joanne and Michelle are pros at this. They use the apps called Werble. and Plotagraph. Check out their accounts to see their animated photos. They have lots of different “effects” you can add on your photos. If you’ve been reading our Instagram tips for a while, you know how much we LOVE hashtags. A hashtag is a door to an amazing community on Instagram. However, some hashtags are just oversaturated now. They are too broad, too general, and they don’t really help you grow your Instagram account. Hashtags like #love, #food, #dog are too general and have too much competition. Millions of people post photos using these hashtags. There are hashtags that have less competition. Usually they have been created specifically to gather a community of like-minded people. Hashtags have become communities. Tip 1: Look how many posts a hashtag has. Use hashtags that have around 1 million posts or less. 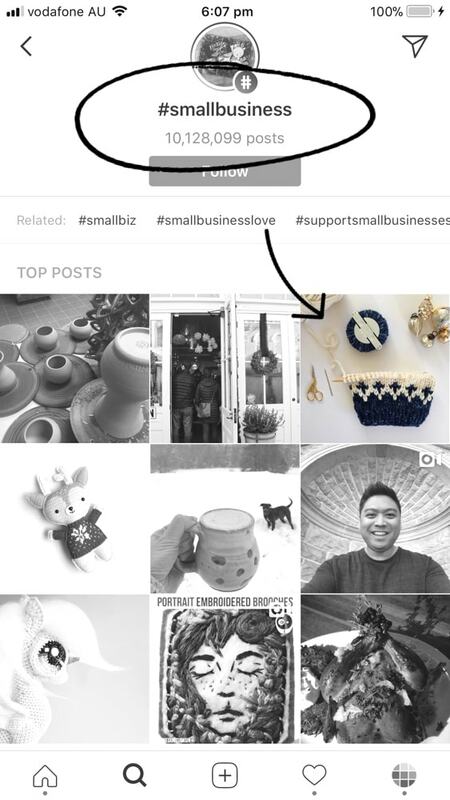 Tip 2: Use hashtags that link you to the right community on Instagram. You can use the Hashtag Finder in Preview app to find community hashtags. Tip 3: Don’t just follow people you like. Follow hashtags too. By following one hashtag, you are connecting with thousands of people. You will see popular posts in your home feed. This is an amazing opportunity to discover new people. Let’s continue talking about hashtags. Did you know that there are over 114,000 banned Instagram hashtags? Instagram checks hashtags and looks if people share inappropriate photos. If people share inappropriate content, they will block or banned certain hashtags (temporarily or indefinitely). Banned hashtags can be very innocent hashtags. For example: #desk, #tgif, #hardworkpaysoff, #pushups or even #happythanksgiving are all banned. Tips: Here is a list of banned Instagram hashtags (I also show you how you can find banned hashtags yourself too). Avoid using these hashtags because they could get your account banned, blocked or penalized. 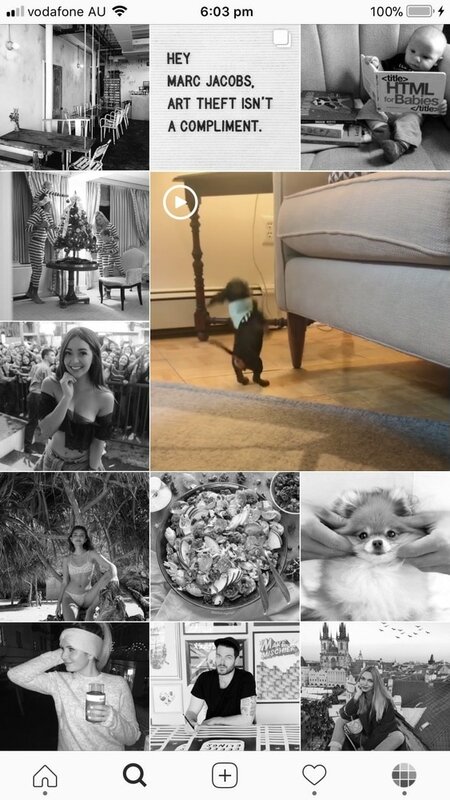 Instagram is pushing video content. Instagram is always improving its algorithm. It seems like the algorithm is favoring engagement the most. The “Top 9” photos on a hashtag page prove my point. A lot of people in the “Top 9” have great engagement. They don’t necessarily have thousands of likes or followers. Comments seem to become more important than likes. 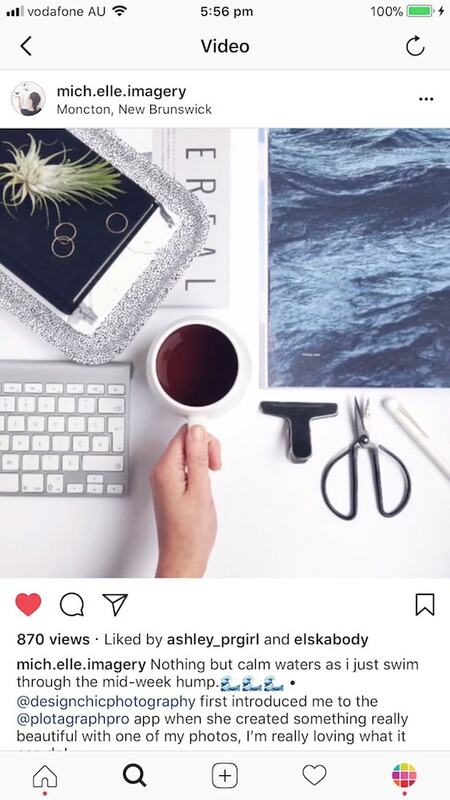 If you have a business or want to grow your Instagram account, you should aim at getting good engagement (= more comments). Tips: Don’t use bots to get comments and likes (Instagram prohibits these tools). It might hurt you in the near future! Remember, Instagram penalises those who use automated tools. Keep it natural. Stay social. Have fun! Genuinely interact with people. Find a bunch of people you love to interact with. Nobody can beat genuine relationships like that! I believe that your Insta Stories should complement – but does not replace – your Instagram feed. Insta Stories and Instagram feed are two different platforms. They both have different roles to play to grow your Instagram account. 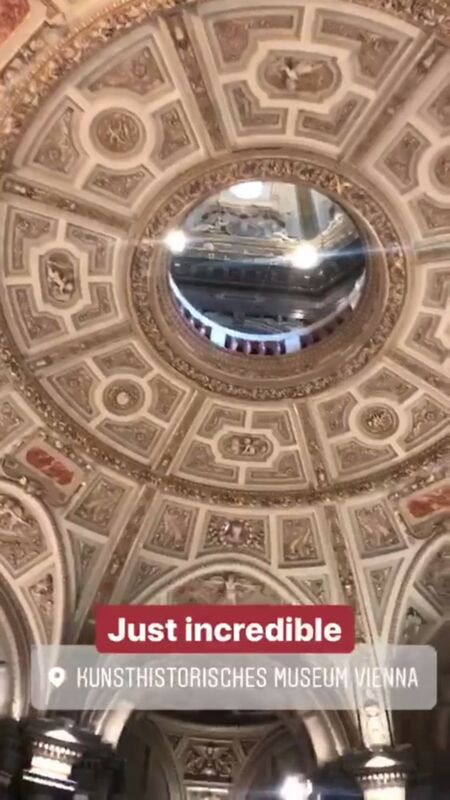 Insta Stories disappear. Instagram posts don’t. That’s a big deal. People are more likely to find you through the photos you post on your feed. Why? Photos stay around longer. People use Instagram to search things. They type keywords to find photos. Example: wedding inspiration, flatlay ideas, best vacation, creativity. If you want your account to be searchable and FOUND on Instagram, keep posting high quality, engaging content and use the right hashtags. Insta Stories last for 24 hours. After that, they disappear. Use Insta Stories to stay in touch with people, give news. Let people follow you around during the day. Her Insta Stories: Watch her Insta Stories to follow her around during her travels. She shares her behind the scenes when she’s getting ready for her adventures or writing new blog posts. Her Stories complement – but does not replace – her Instagram feed. 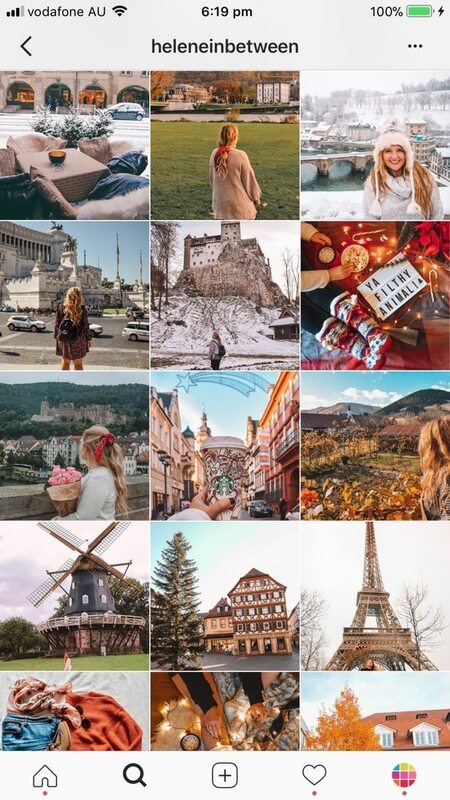 Her feed: She uses her feed to highlight her favorite moments, places and travel tips. Her feed looks like a travel journal. And the final Instagram trend I want to talk about is: the image recognition. 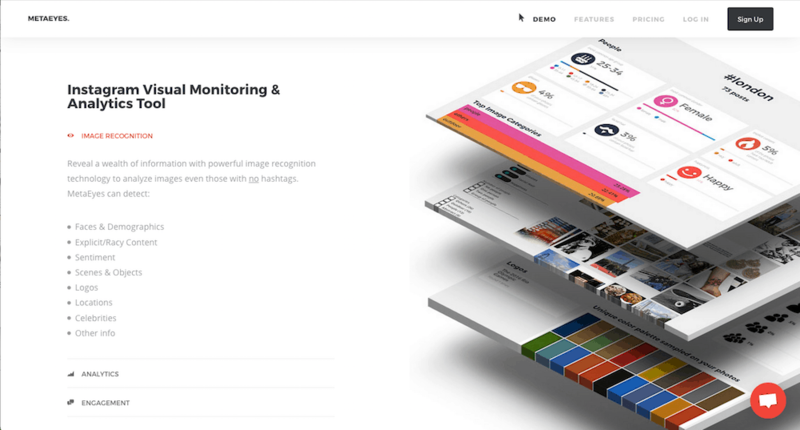 But Instagram is not the only one using image recognition… on your Instagram photos. What I’m going to say is VERY important is you are building a brand on Instagram. Companies are investing in image recognition software like MetaEyes to scan Instagram photos. 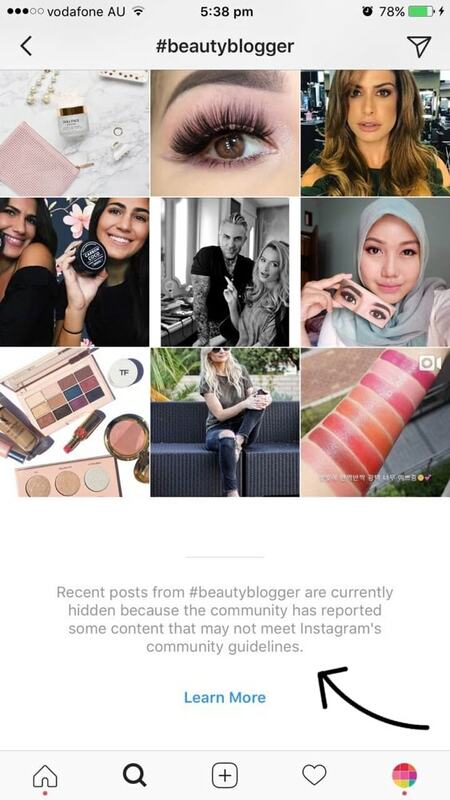 Brands are even using image recognition software to find social influencers. Tip: This teaches us a big lesson. If you are building brand, make sure you post high quality photos. We should be able to easily see what you are doing or wearing. I hope you found this article useful. 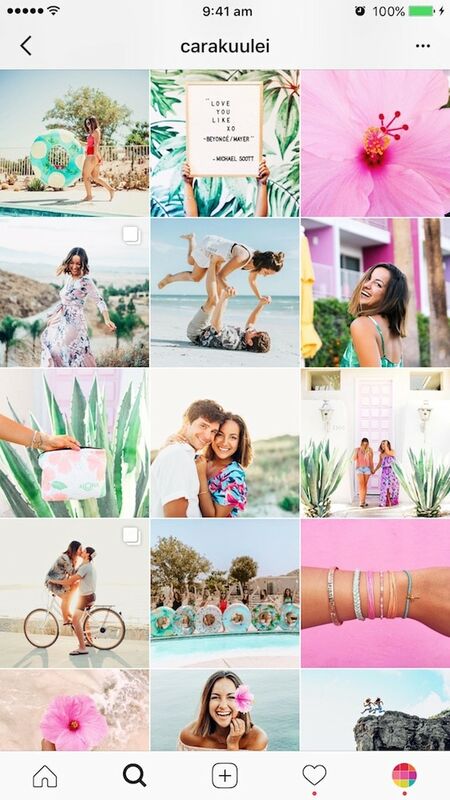 Let me know in the comments: which Instagram trend do you like the most? Don’t hesitate to ask questions if you have any!